The Provincial Grand Lodge of Stirlingshire Annual Golf Competition was played on Sunday 10th May 2009 at Ross Priory Golf Course, Gartocharn. 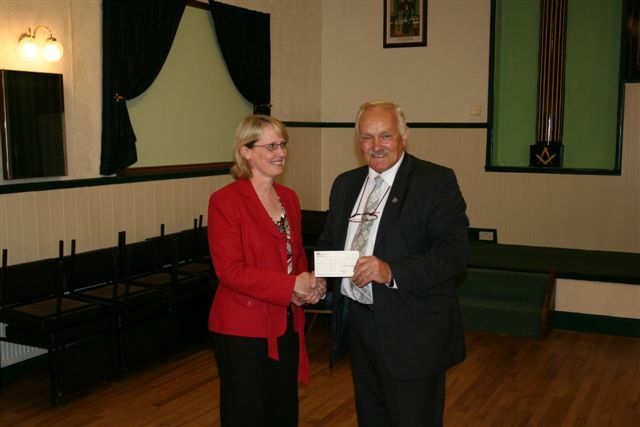 Pictured below is Right Worshipful Provincial Grand Master Bro. 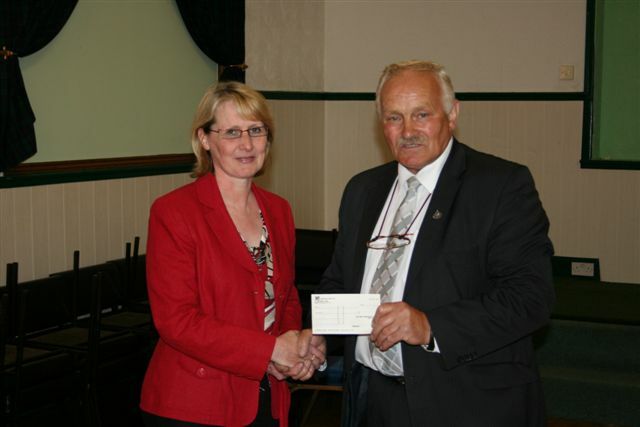 John McKenzie presenting a cheque for £3000 to Lesley Corr of Alzheimer's Scotland, Stirling Clacks Services he nominated recipient of the monies raised.